and year models of heavy and medium duty trucks and trailers. 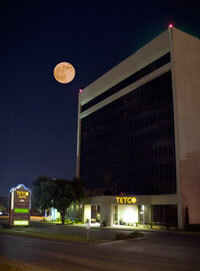 TETCO, Inc. is a San Antonio-based company, owned and operated by the Tom E. Turner family for more than 60 years. Food service franchises, petrochemical distribution, and heavy truck and trailer repairs are the company’s primary revenue sources, with significant interests in oil and gas exploration, real-estate development, and restaurant franchising. 7-Eleven acquires TETCO convenience stores. Read more here. TETCO, Inc. currently consists of Mission Petroleum Carriers, Alamo City Truck Service, and Barbarosa Foods. TETCO operates in Texas and Utah.